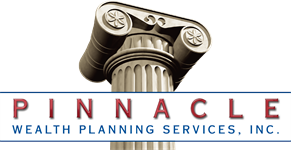 Pat is responsible for the Retirement Plan Administration of Pinnacle Fiduciary Consulting Group, a wholly owned subsidiary of Pinnacle Wealth Planning Services, Inc. He received his Bachelors of Science in Business degree from Wright State University. Pat holds the designations of Accredited Investment Fiduciary (AIF®) and the Accredited Asset Management Specialist (AAMS®) from The College of Financial Planning. He is a Chartered Retirement Plans Specialist (CRPS®) and a Certified Financial Planner (CFP®). For information on Pinnacle Fiduciary Consulting Group LLC, go to www.fiduciaryprotection.com.